Bio – Dale Hauskins a Roots Reggae Musician, a first-generation Californian freckled lead-rhythm GUITARIST, singer & songwriter; and only child was born at national historic site Camp Pendleton Marine Corps Base Oceanside August 26(Raised in middle-class PICO RIVERA East LOS ANGELES). Based in Hermosa Beach, Los Angeles & Encinitas, San Diego SOUTHERN CALIFORNIA. Dale’s father,(Daniel Evan Hauskins(Chief Petty Officer CMM US Navy World War I & II Born July 1900-Died 1976);bought his first,(Sears Silvertone),guitar and amp at age 8 hearing the sounds of John Coltrane, Chet Atkins, Ink Spots, Herb Albert, Mills Brothers; Motown and much more from his father’s record player. Initially, DALE learned to play by ear. 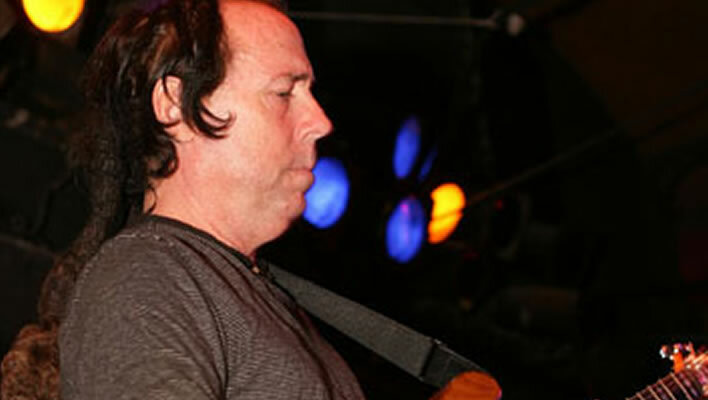 As a teenager, DALE played in many local LOS ANGELES bands along with childhood friend guitarist RUSTY ANDERSON(Currently on CD/Tour with Sir Paul McCartney in 2003-2012.). After graduating EL RANCHO High School in Pico Rivera,(11 miles southeast of downtown Los Angeles on the eastern edge of the Los Angeles County basin. ),California, Dale packed his Gibson L6S guitar, Marshall, Echoplex and set off to London England; and its burgeoning prog/fusion scene. He haunted jam sessions at London’s Rod Argent’s famed keyboard shop, and had struck up friendships with Brand X’s Robin Lumley, and Peter Gabriel. Playing a couple years in many different English Jazz-rock, s pace-rock and progressive rock bands. At the age of 23 Dale earned a Associate in Arts degree & studied 3 1/2 years harmony-Composition-Arrangement-Orchestration with composer, pianist-organist Dr. Williametta Spencer, (Professor of Music, WHITTIER COLLEGE); at RIO HONDO COLLEGE Whittier, California. Soon Dale got a call from LUCERNE, SWITZERLAND to join, record & tour throughout Switzerland and Europe with a established SWISS PROGRESSIVE ROCK band FLAME DREAM signed to Vertigo Phonogram;(a renowned label that was created by the Philips and/or Polygram group specializing in progressive rock music.Vertigo Records was the name Philips Records chose in the sixties for its record label to counter the progressive labels of its rivals EMI. Philips/Vertigo record label was founded by Dutch electronics giant Philips. Some of the first artists to be signed included young and modern artists/Bands like Black Sabbath, Gentle Giant, Thin Lizzy, Colosseum, Ramases, Status Quo, Rod Stewart, Nirvana, Uriah Heep. Now part of the Universal Music Group.). His music is influenced by – Chet Atkins; John Coltrane;Miles Davis; Joe Higgs(Godfather of Reggae); Allan Holdsworth; Django Reinhart; Mick Ronson; Keith Jarrett; John Etheridge; Peter’Ollie’Halsall; Johnny Winter;Gershwin; Al Viola; Jan Garbarek; Terje Rypdal; Bill Frisell & Ornette Coleman. Including many more international, Hawaiian, Caribbean, Swiss, European; and American artists & musicians. Location – Hermosa Beach (Los Angeles) & Encinitas (San Diego) California U.S.A.